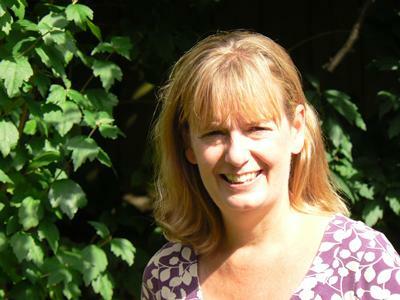 Professor Lindy Holden-Dye holds a personal Chair in Neuroscience within Biological Sciences at the University of Southampton. Her interests focus on fundamental processes of neuronal communication and she has established research expertise in invertebrate preparations. Through this interest she has contributed to research relevant to a number of important areas of neuroscience that inform understanding of mental health. Her expertise in invertebrate neuroscience, and in particular nematode neural systems and the model genetic organism Caenorhabditis elegans positions her well to participate in drug discovery and mode of action programmes for novel antiparasitics. For the last two decades she has collaborated with industry to improve prospects for parasitic nematode control. Her research group identified the molecular target for the resistance breaking anthelmintic emodepside showing it acts through a calcium-activated K+ channel SLO-1 to bring about neuromuscular paralysis in nematode worms. This discovery has paved the way for the pursuit of new approaches to the treatment of human filarial disease. The experimental approaches deployed in her research group encompass genetics through to whole animal physiology and incorporate novel methods for tracking animal behaviour and signal processing. 2006-present: Professor of Neuroscience. University of Southampton, UK. 2008-2014: Chair. SoNG Advisory Board. 2004-2006: Reader. Biological Sciences, University of Southampton, UK. 1986-1991: Post-doctoral Research Fellow. Department of Neurophysiology, University of Southampton, UK. 1986: PhD Neuropharmacology. University of Southampton, UK. 1981: MSc Biochemical Pharmacology. University of Southampton, UK. 1976-1979: BSc Hons Physiology. University College, Cardiff, UK. I am interested in the fundamental processes of neuronal communication and have established research expertise in simple invertebrate preparations. Much of my work now resonates with issues concerning mental health such as addiction and neurodegeneration. My expertise in invertebrate neuroscience, and in particular nematode neural systems and C. elegans, positions me well to participate in drug discovery and mode of action programmes for novel antiparasitics. For the last decade I have collaborated with industry to improve prospects for parasitic nematode control. The experimental approaches deployed in my research encompass genetics through to whole animal physiology and incorporate novel methods for tracking animal behaviour and signal processing. Caroline Rivers. Chemical biology of the interaction between plants and pathogenic nematodes. BBSRC CASE Samah Zaroug. Associative learning and feeding behaviour in C. elegans. IfLS. Euan Scott. Probing Bacterial Pathogenicity using C. elegans as the Biosensor. BBSRC, Public Health England. Yogendra Gaihre. Hatching factors in plant parasitic nematodes. Vice Chancellor's Scholarship. Felix Cobbold Trust. James Hutton Institute. Monika Kudelska. Structural/functional studies of the ligand binding domains of nicotinic acetylcholine receptors. Gerald Kerkut Charitable Trust. Patricia Gonzalez. New routes to the treatment of human organophosphate poisoning. DSTL. Emily Feist. Understanding the mode of action of a novel nematicide. Adama Agricultural Solutions. Ellie Kirby. Forward genetics to understand the mode of action of a novel nematicide. Adama Agricultural Solutions. Genetic differences have been identified in individuals with autism and schizophrenia. Here we are using the model organism C. elegans to investigate how these genetic differences bring about changes in the function of neural circuits. Are GTGs a new class of plant anion channels regulating pH in the endomembrane system? Given the significant sequence similarity between members of the GTG/GPHR family, we are testing whether the GTG/GPHR family has a conserved physiological function in diverse organisms. Structural/functional studies of the ligand binding domains of nicotinic acetylcholine receptors. The neurobiology of plant parasitic nematodes. Changes in the pattern of behaviour with increasing alcohol intake in humans reflect its complex effects on the brain. Holden-Dye, L., & Walker, R. (2017). Caenorhabditis elegans feeding behaviours. Oxford Research Encyclopedia of Neuroscience. Calahorro, F., Crisford, A., Dillon, J., Holden-Dye, L., O'Connor, V., & Walker, R. (2015). The Nematode ‘Worm’, fast forward for Physiology. Physiological News, 99, 16-19. Dillon, J., Hopper, N. A., Holden-Dye, L., & Connor, V. (2006). Molecular characterization of the metabotropic glutamate receptor family in Caenorhabditis elegans. Biochemical Society Transactions, 34(5), 942-948. Amliwala, K., Willson, J., Holden-Dye, L., Harder, A., & Walker, R. J. (2002). Effect of the anthelmintic emodepside on locomotion in C-elegans, and on the somatic muscle of A-suum. Journal of Physiology, 543(S222), 1P-2P. Franks, C. J., Pemberton, D., Vinogradova, I., Cook, A., Walker, R. J., & Holden-Dye, L. (2002). Ionic basis of the resting membrane potential and action potential in the pharyngeal muscle of Caenorhabditis elegans. Journal of Neurophysiology, 87(2), 954-961. Papaioannou, S., Holden-Dye, L., & Walker, R. J. (2002). Physiological actions of putative neuropeptides in the nematode Ascaris suum. Journal of Physiology, 543(225), 3P-4P. Holden-Dye, L., & Walker, R. J. (2002). Synaptic modulation of the pharyngeal muscle of C. elegans. Journal of Physiology, 543P(S324), p.4S. Willson, J., Holden-Dye, L., Harder, A., & Walker, R. J. (2001). A possible mechanism for the action of the novel anthelmintic emodepside, using Ascaris suum body wall muscle preparations. Journal of Physiology, 536P(S103), 132P-133P. Pemberton, D. J., Franks, C. J., Walker, R. J., & Holden-Dye, L. (2001). Characterization of glutamate-gated chloride channels in the pharynx of wild-type and mutant Caenorhabditis elegans delineates the role of the subunit GluCl-?2 in the function of the native receptor. Molecular Pharmacology, 59(5), 1037-1043. Pemberton, D. J., Franks, C. J., Walker, R. J., & Holden-Dye, L. (2001). Characterization of glutamate-gated chloride channels in the pharynx of wild-type and mutant Caenorhabditis elegans delineates the role of the subunit GluCl-alpha 2 in the function of the native receptor. Molecular Pharmacology, 59(5), 1037-1043. Walker, R. J., Franks, C. J., Pemberton, D., Rogers, C., & Holden-Dye, L. (2000). Physiological and pharmacological studies on nematodes. Acta Biologica Hungarica, 51(2-4), 379-394. Harder, A., Bull, K., Guest, M., Holden-Dye, L., & Walker, R. J. (2009). Cyclo-octadepsipeptides – an anthelmintically active class of compounds exhibiting a novel mode of action. In P. M. Selzer (Ed. ), Antiparasitic and Antibacterial Drug Discovery: From Molecular Targets to Drug Candidates (pp. 339-356). Wiley-VCH. Walker, R. J., Rogers, C. M., Franks, C. J., & Holden-Dye, L. (2004). Electrophysiological and pharmacological studies on excitable tissues in nematodes. In Cell Signalling in Prokaryotes and Lower Metazoa (pp. 243-301). Springer. Crisford, A., Marvin, J., Ludlow, E., Lilley, C., O’Connor, V., Urwin, P., & Holden-Dye, L. (2014). Characterising nicotinic acetylcholine receptors in the plant parasitic nematode Globodera pallida. Paper presented at Nicotinic Acetylcholine Receptors 2014, United Kingdom. Hu, C., Holden-Dye, L., O'Connor, V., & Morgan, H. (Accepted/In press). Electrophysiological analysis of nematode larvae with an integrated microfluidic platform. Paper presented at MicroTAS 2013, Germany. Hu, C., O'Connor, V., Holden-Dye, L., & Morgan, H. (2012). An integrated microfluidic device for high-throughput electrophysiological analysis of c. elegans. Proceedings of 16th International Conference on Miniaturized Systems for Chemistry and Life Sciences, Japan. Willson, J., Walker, R. J., Holden-Dye, L., & Harder, A. (2004). The action of cyclo-octadepsipeptide anthelmintics on the free-living nematode, Caenorhabditis elegans. In D. J. Beadle, I. R. Mellor, & P. N. R. Usherwood (Eds. ), Neurotoxicological Targets from Functional Genomics and Proteomics, Society of the Chemical Industry Neurotox’03 (pp. 123-130). Society of Chemical Industry. Holden-Dye L and Walker RJ. Anthelmintic Drugs. (2007) WormBook, ed. The C. elegans Research Community, WormBook, doi/10.1895/wormbook. http://www.wormbook.org. Contribution to two modules at Winchester School of Art, one in fashion design and the other in graphic arts by providing briefs for neuroscience inspired projects (2 launches in this academic year).